By checking yes I am giving permission for Catch Des Moines to send me email, and I understand that this is a promotional offer that I can unsubscribe from at any time. To receive the latest Partner newsletter, you must be a Catch Des Moines Marketing Partner. A must-read for visitors and locals! Catch upcoming events, ideas to plan your Greater Des Moines Getaway and exclusive promotional offers. Catch suggested itineraries. Hotel info. Special offers. And more. Distributed quarterly. Catch the latest planner industry news. And keep up on all the happenings in Greater Des Moines. We are here to help you plan your best event yet! Distributed quarterly. Facility news. Bids and bookings. Stellar services. 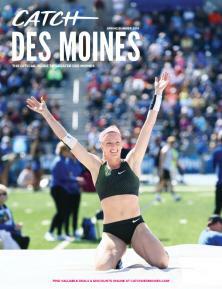 Catch the latest sports industry news in Greater Des Moines. Receive Greater Des Moines event highlights straight to your inbox each week. I would like to receive promotional emails from Catch Des Moines.